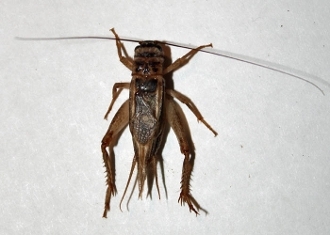 Acheta domesticus is the house cricket. Buy this dead insect for local school collection projects in the following states though they probably occur also in unlisted neighboring states to some extent. This species is captive bred as a feeder insect and sold in every state.